Colombus and other early explorers to the Americas came in search of a passage to the Pacific Ocean which would permit water access to east Asia. This link counted among the inspirations of diverse adventurers in the Central American isthmus, from Cortes to Humboldt. In fact, Lake Nicaragua, also known as Lake Cocibolca, was repeatedly investigated for the possibilities of a direct water link to the Pacific coast. The shifts in global economies did not lay the issue to rest. Humans had great interest in moving by water from the Atlantic Ocean to the Pacific, and vice versa. The Spanish empire, obliged to trek gold eastward by mule from Peru, dedicated many resources to transoceanic route possibilities, followed in the postcolonial period by other powerful European and US efforts to open a canal. Nicaragua became the principal focus of these efforts, given the natural advantages its topography offered. Even without a canal, interoceanic travel in Nicaragua spiked during the middle of the nineteenth century, fueled by the massive human movement toward California during the Gold Rush. Cornelius Vanderbilt developed a system of transport along the San Juan River, across Lake Nicaragua, and then by land to San Juan del Sur on the Pacific coast, which benefited thousands of travelers who wished to circumvent the conflicts between whites and indigenous people along the Great Plains. Mark Twain documented the reverse journal with ample detail on Nicaragua in his Travels with Mr. Brown. History was written with the production of a canal across the Central American isthmus, but in Panama rather than in Nicaragua. But this did not end the ambitions of some to create another canal in Nicaragua. Analyses continued through the twentieth century, as pressure continually rose on the already existing Panama Canal's limited capacity in terms of water to move ships and its limited size. As the Panama Canal widened, ever larger ships could pass, yet an entire class of cargo ship was still left isolated from easy movement between the oceans. A further widening of the Panama canal is simply not feasible. Undoubtedly, the world would benefit from another, wider canal, built closer to the US, in which transportation costs for many products could be dramatically lowered and greenhouse gas emissions could be cut. 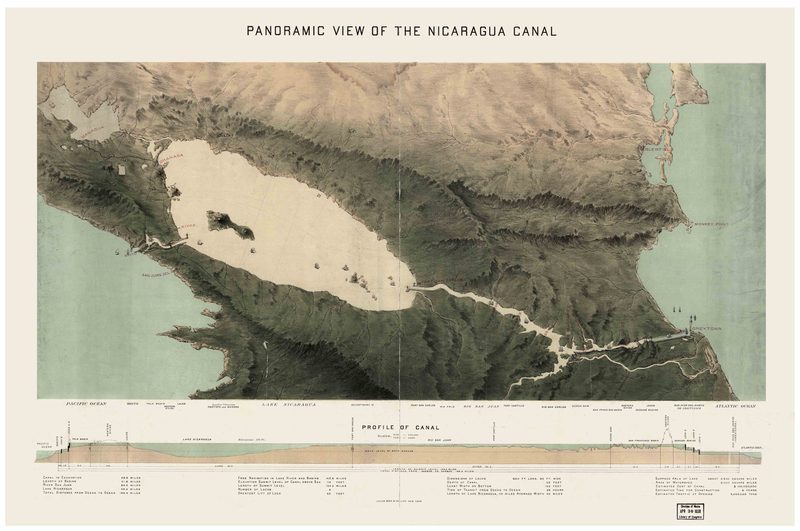 For this reason, near the end of the twentieth century, the Nicaraguan government and civil society developed feasibility studies for potential canal routes in Nicaragua, ranging from a "dry canal" consisting essentially of two ports connected by a highway transited by hundreds or thousands of container trucks or a train, to a dug canal crossing Lake Nicaragua at some point. The canal is now closer than ever a reality. A concession has been awarded to HKND, a venture capital firm located in Hong Kong. Although official canal construction has not begun, an Environmental and Social Impact Study, produced by ERM, has been reviewed and accepted in Nicaragua, which has provided a conceptual approval but many additional studies are pending. GAIA scientists Jeffrey McCrary and Pablo Somarriba participated in the field studies and analyses for this study, moving throughout the route. Dr. McCrary composed several sections of the extensive Environmental and Social Impact Assessment. As the study progressed, several points of discussion emerged among the public, as well. Although some aspects of the pending canal have been defined, many important aspects must be resolved. GAIA scientists continue to participate in discussions regarding the canal with HKND, the Nicaraguan government, and the civil society, to assure that each anticipated impact and risk be resolved. This is a gargantuan task, for a project which promises to be the largest of its kind in the world, in a country as poor and marginalized as Nicaragua, and crossing such precious natural resources as Lake Nicaragua. 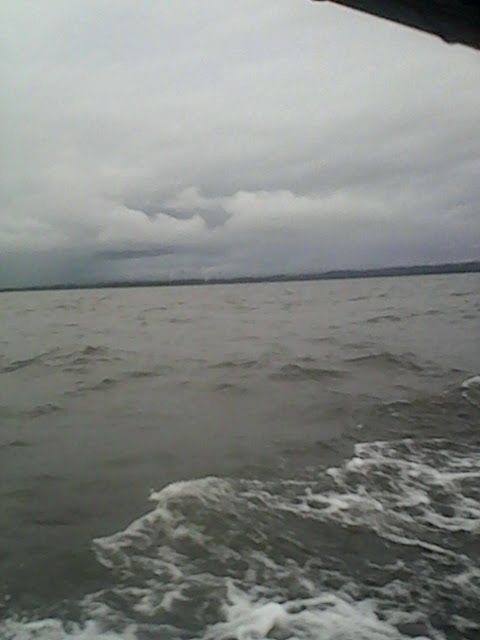 Lake Nicaragua with storms on the horizon. Photo Jeffrey McCrary. Numerous arguments have been made to question the viability of a canal in Nicaragua, particularly the concession given to HKND. Some of the issues have been of an environmental nature, such as the emminent, total destruction of hundreds of thousands of hectares of tropical forests and wetlands, as was alleged by Jorge Huete and Axel Meyer in Nature. GAIA scientist Jeffrey McCrary participated with other Nicaraguan scientists to rebut this position in separate communication in Nature. The differences in opinion between different members of the scientific community in Nicaragua and a few people such as Jorge Huete was later revealed in further detail in an interview in Global Construction Review, another in a Swedish journal, and finally, an investigative report in Science. Richard Condit from the Smithsonian Institution in Panama wrote a article in PLoS Biology, in which he discusses the possibilities that a canal in Nicaragua can mean, given the century of experience in the Panama Canal. 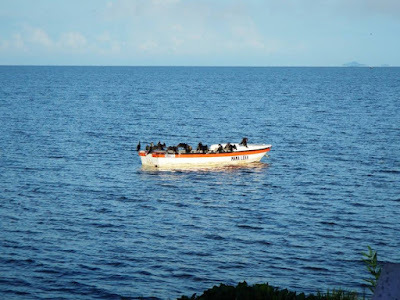 While everyone is concerned about the effects of the Nicaragua Canal on water pollution and effects on nature, others see these problems as technical, with solutions within the grasp of those pretending to undertake such a large project. Differences of opinion about the canal abound, but a few things are certain. The Nicaragua Grand Oceanic Canal could be made wrong, and the economy and environment could suffer by water pollution and various other possible calamities. Another scenario is also looming, however, where things are done right and Nicaragua gains, along with the entire planet. It is a big project, and demands a great deal of attention, but it also holds great promise.